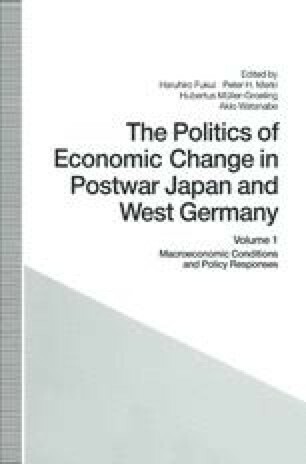 The main objective of this section is to explain several aspects of the monetary policies followed by the Bank of Japan (BOJ) in the process of Japan’s postwar economic growth. A focal point of our investigation is the monetary controls maintained by the BOJ in the 1970s. While the BOJ clearly failed to achieve the purpose of such controls in the early 1970s, it succeeded in stabilizing the growth rate of the nation’s monetary supply after the mid-1970s. Why did its policy instruments fail in one period and succeed in another? We shall probe this central question by asking the following two subsidiary questions: (1) How was it possible for the BOJ to control the money supply with precision? and (2) Was the ‘monetarism’ emphasized by the BOJ after the mid-1970s directly related to its success in this period?